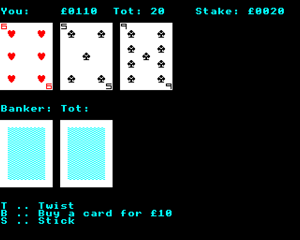 Pontoon is a card game very similar to Black Jack, although there are subtle differences. The player still needs to have a higher score than the dealer without going over 21, but they have to do so using no more than five cards. There is also no double-downing and splitting of the hand in Pontoon. The idea of this game is to simply break the bank.